Small but powerful portable colloidal silver generator come with everything shown in photo. The Silver Lining CS Generator runs on either a plug in power converter or one 9V battery. The power is stepped up to 30V to the silver electrodes and limits the amount of current. This controls the size of silver particles coming off the silver wire. Without this feature, larger particles are produced. Includes 2 - 6 inch pieces of 10 gauge 9999 (99.99%) pure silver wire. Assay report is included. 10 gauge wire will produce many more gallons of colloidal silver than the thinner wires. The unit will accept 10 , 12 , or 14 gauge wire. Connects with easy spring button connector. Side panel has switch to select either DC in, or battery. Red LCD light to show power is going to the silver electrodes and a DC jack where you plug in the power converter. 30 volts are delivered to the silver electrodes weather you use the power converter or one 9V battery. Current limiting produces the smallest particles. Once the current reaches a very small level, it will remain there. This prevents current "runaway". Constant current equals constant particle size. Produces the recommended 7-10 ppm or higher if you like. * TDS Meter so you can see what ppm you have made. 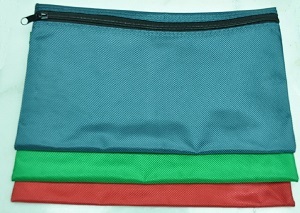 * A great, durable, water resistant zipper pouch that holds everything included with room to spare for other items. Maybe some first aid or survival items. Measures 12" X 7.5". Available in 3 colors to choose from.